Don't forget about the Wax Moustaches. And we chewed these !! Unbelieably, I still have my was lips! Remember putting an orange peel over your teeth? might as well have fun since we're here! It wasn't Halloween without them. I definitely remember these...they were so "neat." and if you chewed them they didnt taste to bad, but you had to spit them out after a bit. 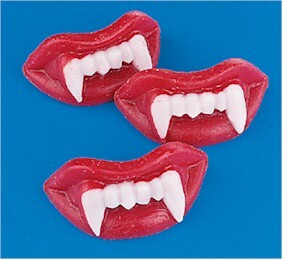 they were always a find in your trick or treat bag! Loved 'em too. And at a penny each, so affordable! ROFLOL. Am I the only one who remembers these? 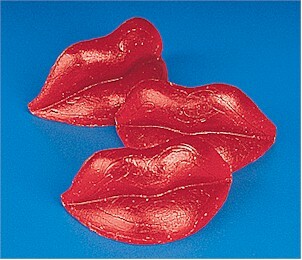 We loved the wax lips. We thought they were sooooooo funny.